Very poor seeing and we need to clean the optics, seal and grease some gears, rebalance the main optical tube, resolve a finicky tracking error and then I have to git gud with the processing and cleaning of images. 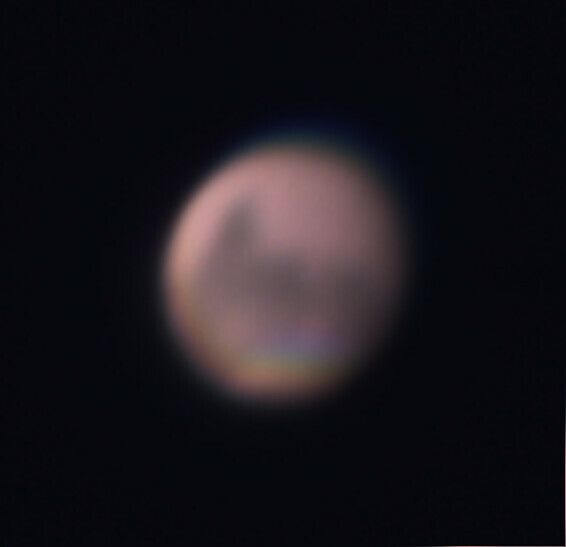 First Mars of the 2018 opposition. Hoorah.